NCCPR Child Welfare Blog: A middle-class adoptive mom’s unusual response to being falsely accused of child abuse: "I learned a lot about the less privileged. 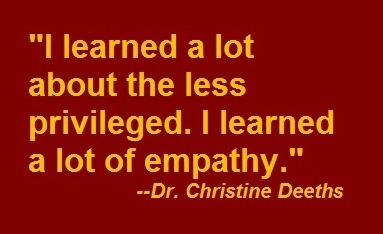 I learned a lot of empathy." 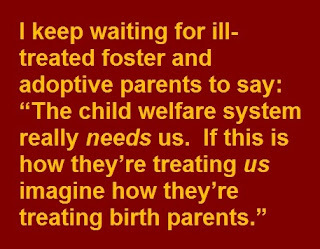 A middle-class adoptive mom’s unusual response to being falsely accused of child abuse: "I learned a lot about the less privileged. 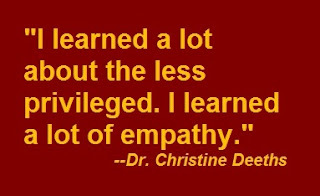 I learned a lot of empathy." As part of the original CPS case, Deeths was ordered to attend parenting classes put on by Human Services. The classes themselves were useless, she said. But she met dozens of parents who, like her, had lost their children. Unlike her, however, they weren't nearly as educated nor did they have the same resources, money, strong family support, friends, colleagues, etc. "I learned a lot about the less privileged," she said. "I learned a lot of empathy." She had the resources to fight CPS, she said, when most other parents don't. She wonders how many more families have been unfairly torn apart. "A lot of what they're taking kids for is a lack of knowledge about life skills and CPS isn't helping parents learn those life skills," she said. 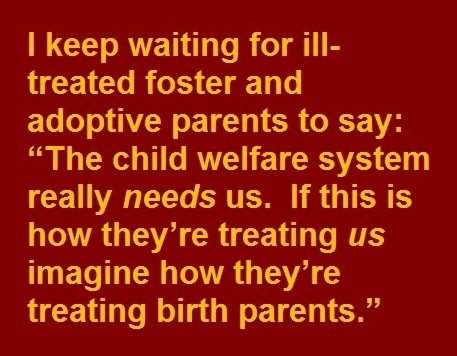 "Meanwhile they're creating generational problems because when you take a child, they're changed forever.